Drama Works! Online by Jonas Basom is a comprehensive, web-based curriculum program for teaching theatre, English language arts, and arts integration for all subjects and ages. Made for the modern digital classroom, this online textbook features lesson plans and visual aids to project and/or print, including posters, flash cards, and handouts. The user can login anytime from computer, tablet, or phone to access a wealth of resources that will last for years to come. 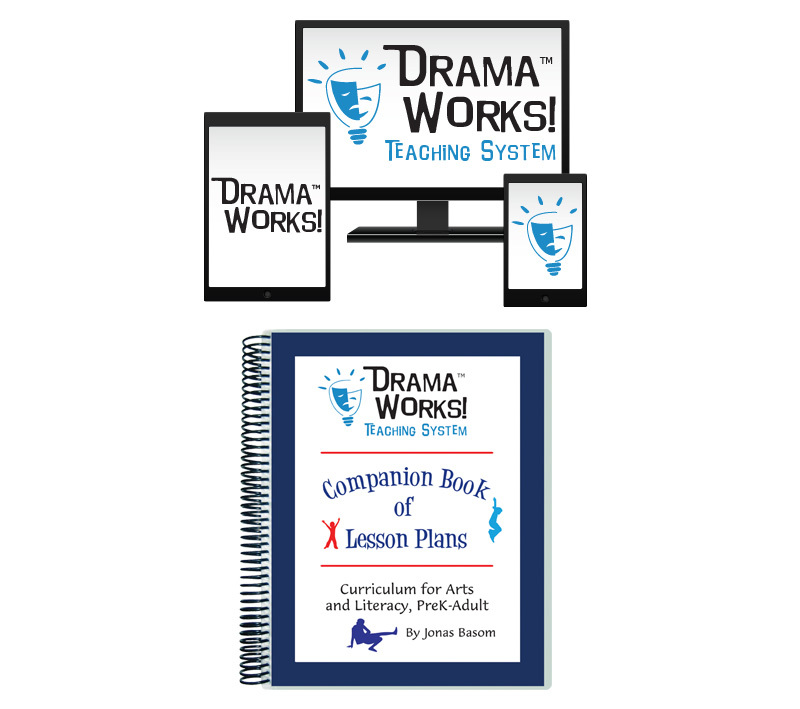 The 150 lesson plans include more than 1200 drama games, activities, and projects, with variations for beginner, intermediate, and advanced levels. There are thousands of fun and effective ideas for integrating creative drama in all school subjects, including all of the arts. Curriculum planning resources include detailed alignments to state and national content standards in arts and literacy. The program was designed to align with the National Core Arts Standards, Texas theatre standards (TEKS), and Common Core ELA, with more alignments added each year. 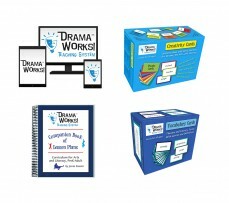 Extensive cross-indexing allows the user to create lessons by searching for activities that connect to drama skills, theatre arts categories, school subjects, learning styles, and grade levels. Hundreds of point-and-click links help the user discover valuable resources and related content. Drama Works! Online includes detailed teaching strategies for arts integration, assessment, learning styles, and literacy development. The complete classroom management system maximizes student engagement, creativity, and safety. No previous drama experience is required. Drama Works! Online adds annual updates to content and features based on user feedback. Standards alignments will be added and/or revised so that Drama Works! stays current with changing standards. Users that renew their license each year will have access to the updates and stay connected to a growing curriculum that responds to its users’ needs. Drama Works! 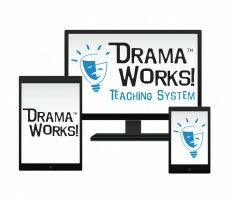 Online is part of the Drama Works! Teaching System. 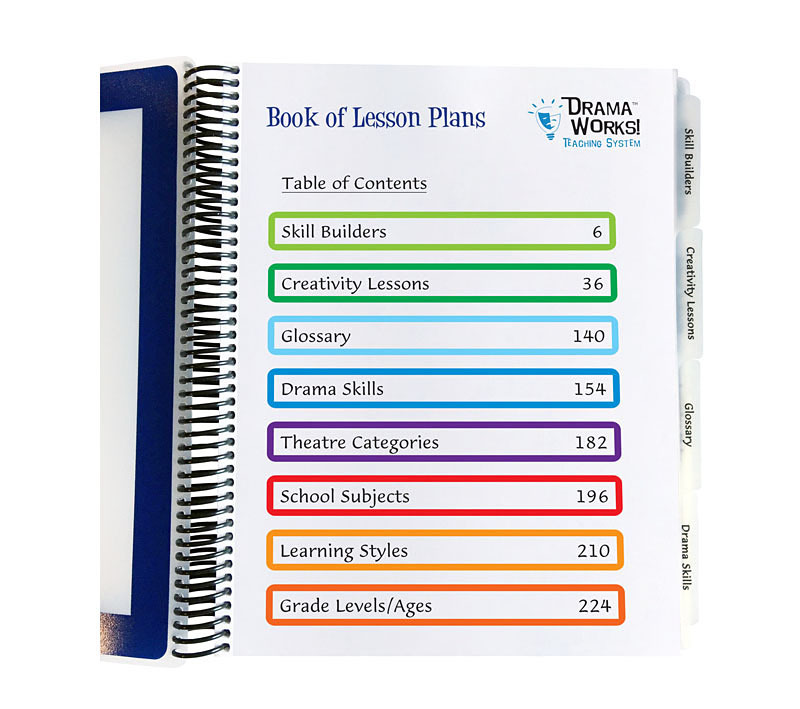 It contains the complete curriculum in the form of an online theatre textbook, including digital versions of the contents of the Companion Book of Lesson Plans, Creativity Cards, and Vocabulary Cards. It is available as a stand-alone product or in combination with the print components. Includes a Single Teacher License for use by one teacher or individual for one year. Note: Drama Works! Online was previously known as The Drama Game File, which is now discontinued. Discover what’s new: compare the two products here. Drama Works! 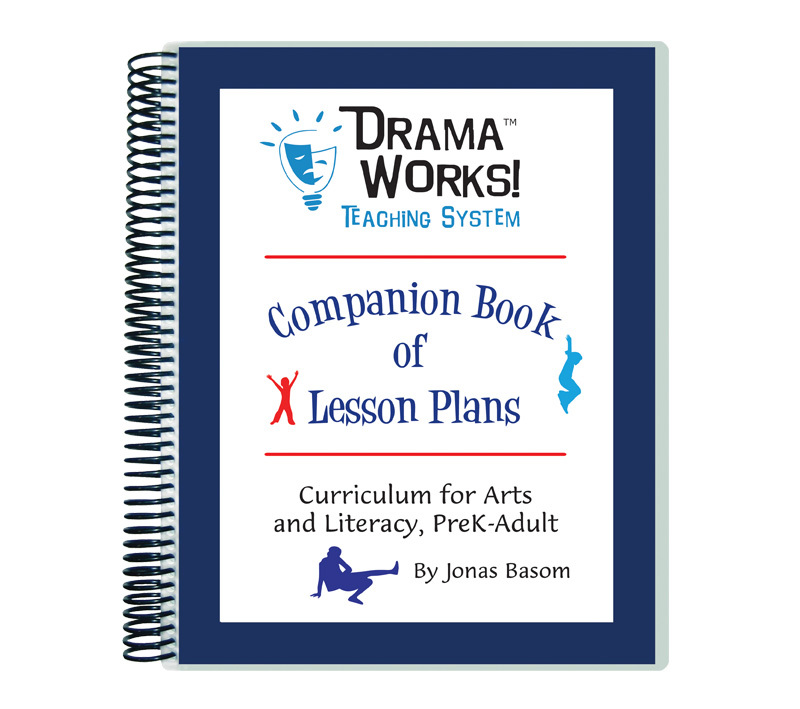 Companion Book of Lesson Plans by Jonas Basom contains the 150 printed lesson plans from Drama Works! Online. The lessons include more than 1200 activities in total, including variations for beginner, intermediate, and advanced levels. 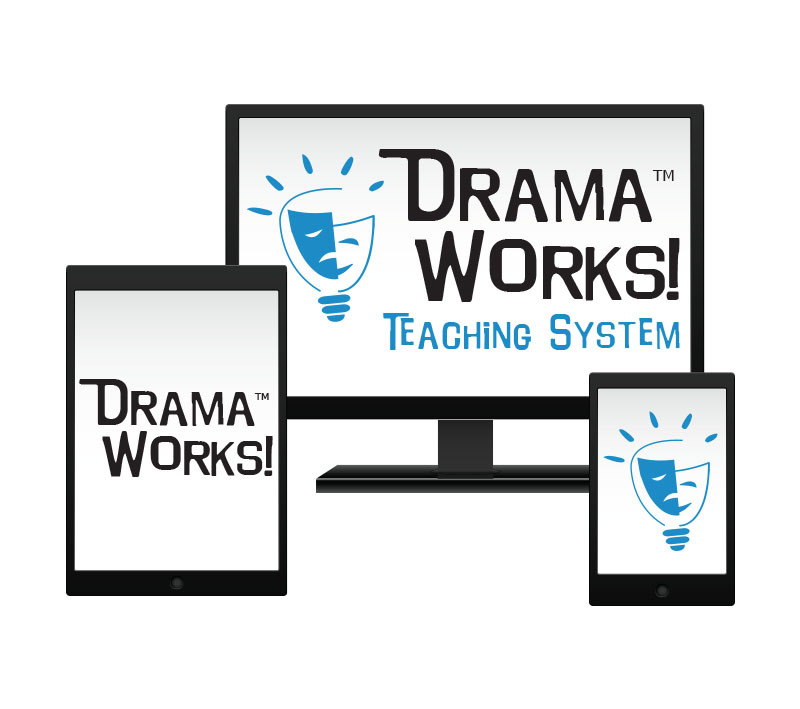 Using the 65 indexes in the back, the teacher can quickly look up lessons by 25 drama skills, 12 theatre categories, 11 school subjects, 11 learning styles, and 6 age/grade level groups (preschool to college). The book also includes the glossary of theatre and literary terms with definitions. 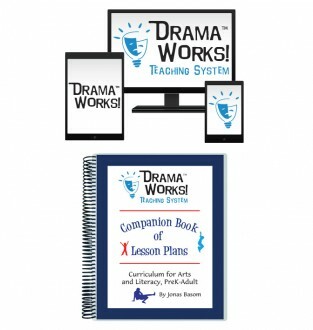 The companion book allows the user to save time and money by not needing to print from Drama Works! Online. It provides offline access to the lessons without a computer and without needing to login. The teacher or substitute has instant access to complete lesson plans ready to read and lead. The lessons were designed to align with the National Core Arts Standards, Texas theatre standards (TEKS), and Common Core ELA. The practical design includes a durable and flexible plastic cover and back to protect the book's contents. The plastic tabs make it easy to flip to any of the 8 sections. The rear pocket is designed to store supplements, printouts, and teacher notes. The smooth plastic coil-binding holds pages securely in place and flips around to lay flat on any chosen page, making it easy to hold or photocopy. The Companion Book of Lesson Plans is part of the Drama Works! Teaching System. It is available as a stand-alone product or in combination with the other digital and print components. It is designed to use as a companion to Drama Works! Online, which contains the complete curriculum in digital form, including substantial additional content and updated standards alignments. The practical design includes a durable and flexible plastic cover and back to protect the book’s contents. The plastic tabs make it easy to flip to any of the 8 sections. The rear pocket is designed to store supplements, printouts, and teacher notes. The smooth plastic coil-binding holds pages securely in place and flips around to lay flat on any chosen page, making it easy to hold or photocopy.